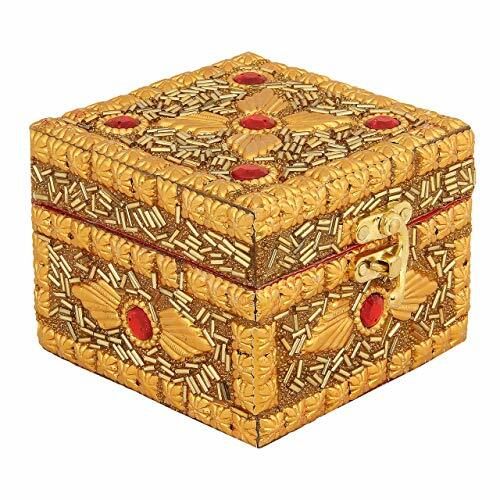 Hand Crafted Jewellery Box, Golden at great discount. Size- 4.0 inch. with 30 days replacement.